forget sal. i picked 10 lbs yesterday in limerick. the rest of the family picked another 25lbs or so. pie for all! 25 Aug	This entry was published on August 25, 2007 at 3:31 am and is filed under maine, photo entries, random stuff. Bookmark the permalink. Follow any comments here with the RSS feed for this post. Looks so delicious! I traveled from Shanghai China to California last week, and the first thing i did here in Silicon valley was to buy a few boxes of blue berry and black berry. 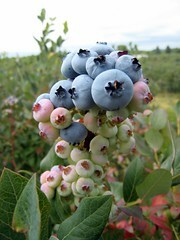 I don’t know why these berries are not grown in China and they have to be imported. 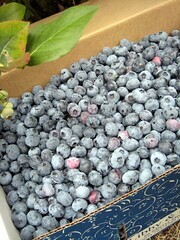 The price in supermarkets for blue berry is something like $8/lb.